Why am I poorer and poorer while bankers get richer and richer? Because of my acceptance of slavery. I have agreed to become the bankers’ slave. Throughout my whole life, I work for them by the sweat of my brow to pay interest and repay the capital. This capital comes from false loans they have offered me. I am an accomplice to my own enslavement. Why do I treat myself this way? • I am ignorant! I believe these bankers let me use money that was placed in their care. Wrong assumption! Bankers loan 10 to 40 times more money – and sometimes much more – than what they have in their vaults. They actually create money out of thin air – mere words on paper. They loan air, out of which they charge interest and they want to be reimbursed in real money. • I accept the unacceptable! I pay interest on borrowed money and I collect interest on loaned or invested money. Money should be used to create more money. Wrong assumption! Interest on money is called usury. It makes rich people richer and poor people poorer. It is the #1 tool to increase poverty and social inequity. Money is a bartering tool, not merchandise offered for speculation. • I am afraid of others! I prefer the certain abuse from bankers to the risk of being abused by friends or neighbours. Wrong assumption! I can make honest dealings with the people around me at no risks. • I do not love myself! I prefer to leave my possessions in the hands of established reputable institutions that know better than I do. Wrong assumption! The goal of banks is to increase the profits of bankers. I can trust myself and act on my own. • I forget who I really am! I think that I am a powerless creature. Wrong assumption! I am Idessa (internal idessity), unlimited Creatrix of my own abundance. I remember who I am and I create the Bank of Three Hearts. It is a local bank based on the love-of-self and made up of three persons – the lender, the borrower, the heart-banker. These meet together for an exchange of circulation money agreed upon as a loan from the first person to the second. 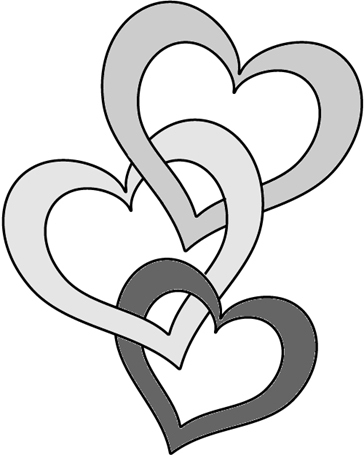 Based on justness (Booklet 5), the Bank of Three Hearts facilitates deals between individuals who know each other and are on the “same wavelength”. All players must have the following qualities: responsibility, complicity, trust, transparency, truthfulness, and enthusiasm. Agreements within the Bank of Three Hearts rely on people’s conscience and never involve court proceedings. The three hearts belong to the following persons. The Lender – Conscious that money is simply a tool to facilitate exchange, that person lends money without interest or invests in a business meant to help local economy and not generate profit at all cost. The lender makes sure that the borrower is not already dealing with commercial banks. If the risk seems too high, she chooses to refrain from making the loan or considers the possibility of a donation. The Borrower – Conscious that she is given access to circulation money, that person works hard at reimbursing the loan as quickly as possible, so that it becomes available to other borrowers. She agrees not to borrow more money or make a loan to another person until this particular debt has been completely repaid. The Heart-Banker – This third person is chosen by the lender or both parties. Her role is to facilitate the exchange between lender and borrower. Her personal qualities include good business acumen, logic, creativity, and intuition. She also needs to be proficient in interpersonal communication. When necessary, she becomes the witness of all the steps of a loan, from beginning to end. Eventually, the heart-banker may keep a record of available sums from lenders and loan requests from hopeful borrowers. Some people decide to borrow when they could manage differently. To avoid such a situation, the heart-banker uses a series of heart-searching questions. Here are some typical examples. – 1) Do you have any debts? 2) Did you spend what was needed to enjoy a comfortable life or fulfil old dreams (courses, projects, travels)? 3) Have you thought about reducing your workload or stopping work for good? 4) What amount of money would you like to lend and for how long? 5) Do you want partial repayments? How many and how frequently? 6) Why do you want to make such loans? Out of conscience, guilt, or a desire to participate to your neighbourhood’s abundance? Out of fear that the system might collapse? 7) Who do you want to lend it to? Family, friends, neighbours? 8) Do you want a safe and easy-to-manage loan or several small and diversified loans? 9) Do you want guarantees or insurance? Would you be ready to lose the whole amount? 10) What would be a just compensation for your time? 11) If there were a breach of agreement, what would you do? What time limit would you respect before keeping or selling the object used as guarantee? Etc. – 1) What does your personal balance sheet look like? Do you already have other debts? What are your assets? Do you have pension plans, retirement funds, investment, cash, real estate (house, land), movable property (car, jewels, furs, motorcycle)? 2) What can you offer as guarantee? 3) How much would you like to borrow? What monthly payments are you ready to commit to repay? In this case, how long will it take you to give it all back? 4) Do you have a regular income that will allow you to make these payments without working as a slave? 5) Do you really want to go into debt at this time in your life? 6) What need will this loan fill? 7) Is your choice compatible with your present lifestyle? Is it a fair exchange for you and the lender? 8) If you had this money and you were the lender, would you lend it under such conditions? Would you consider this a fair exchange? Etc. borrower, and heart-banker, amount being lent, reason for borrowing, type and frequency of repayment, guarantees, consequences in case of non-payment, and some remuneration for the time of both lender and heart-banker.